As our Boston Personal Injury Lawyers recently reported, ridership on the T has increased in recent months. Massachusetts Bay Transportation Authority (MBTA) officials are crediting the new See Say smartphone app for the increase. It’s helping riders to navigate their trips a whole lot easier, allowing them to see exactly where their ride is and when it’s supposed to arrive. It’s also helping to give riders a piece of mind. The app also allows residents to report any kind of suspicious activity that they see on the MBTA to Transit Police. With just a click of a button, MBTA riders can upload accident reports and they can share both text and pictures. All of these features are helping riders to stay safe during transit and to help them to get to and from their destinations in a timely manner. “Transit Police are always looking for new tools to empower riders,” said Paul MacMillan, MBTA Transit Police Chief. Our Boston personal injury attorneys understand that communication is an important part of traveling throughout the city. When riders are joining in, we have eyes and ears throughout the MBTA system. With participation from riders, we can help to hold the MBTA accountable for a comfortable and safe transit environment. It starts with you. With everyone involved we can have the safest transit system in the country. In addition to the app is the “If You See Something, Say Something” campaign and it is using efforts from both local and state agencies to help to educate the riding public. The campaign is helping riders to keep an eye on their surroundings at all times when using public transportation. Riders are urged to report anything that they feel is suspicious. You can make these reports with the click of a button through the new app. This campaign was first launched back in 2003 by the MBTA after it learned of a similar campaign from New York City’s Metropolitan Transit Authority. It’s currently being funded through a grant from the Department of Homeland Security’s Transit Security. What’s exciting is that Massachusetts and the MBTA are the first in the country to release a smartphone app as a part of the “If you see something, say something” campaign. 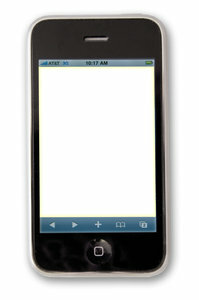 -has been created for transit and other areas that don’t have very good cell phone reception. With the app, reports will be sent as soon as the rider has a signal. -is discrete. It allows riders to send out reports anonymously. The app shuts off a rider’s camera flash on their phone when taking a picture of something suspicious. -sends reports directly to the Transit Police dispatch center. -lets riders know about delays and service issues through T-Alerts. Officials with the MBTA say that it’s important that we all look out for one another. Report all suspicious activity to help keep all of our fellow riders safe. If you or someone you love has been injured in an MBTA accident, contact Boston Injury Lawyer Jeffrey S. Glassman to schedule a free and confidential appointment to discuss your case. Call us at 877-617-5333.